Remember when I posted my January goal results? In true Allison fashion, here I am two weeks later to finally share pictures. Two weeks isn't that bad, really. I was just trying to build anticipation. Let's go with that. Here it is, in all it's colorful glory. Oh, I love it so much. We are in the midst of a living room re-do and this is literally the only thing hanging on our wall right now. I don't know if it will stay where it is, but I had to hang it up immediately after I framed it. 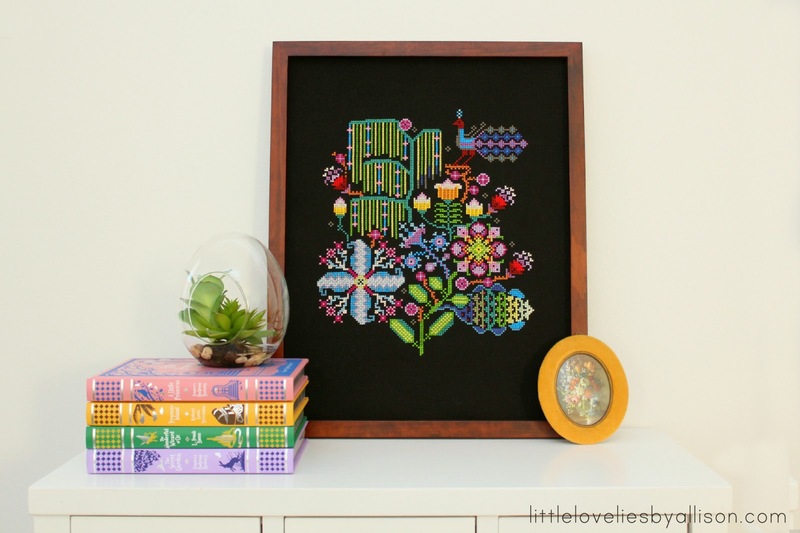 The pattern is from Anna Maria's Needleworks Notebook . This is the biggest cross stitch project I've ever taken on and I was a little scared of it. I'll be pretty honest, it was not the easiest project to get started on. I'll explain why. This book is beautiful. So beautiful. I have flipped through it so many times just to take in all the beautiful pictures and ideas. The projects are unique and lovely, and there are so many good ones to choose from. 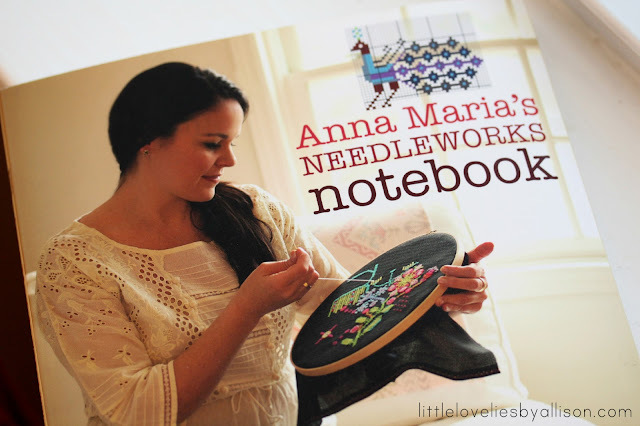 I love Anna's stitching tips as well as the stories of her personal history with needlework. Having said all that, I have a few nit-picky issues with the pattern. The thread colors listed are for Anchor brand threads and I use DMC. That's not a big deal - just a brand preference and I understand that. I found a conversion chart that compares Anchor/DMC and chose my colors accordingly. However, I have seen a lot of cross stitch patterns that list color charts for Anchor and DMC, which is nice and I wish it would have been done here. My bigger issue is with the pattern itself. 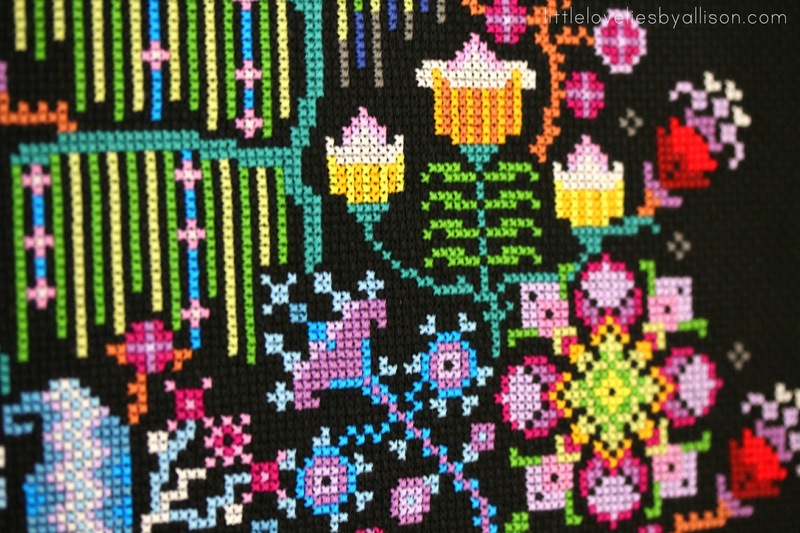 The picture above is a piece of the actual pattern. There are no symbols in the pattern where the colors are. 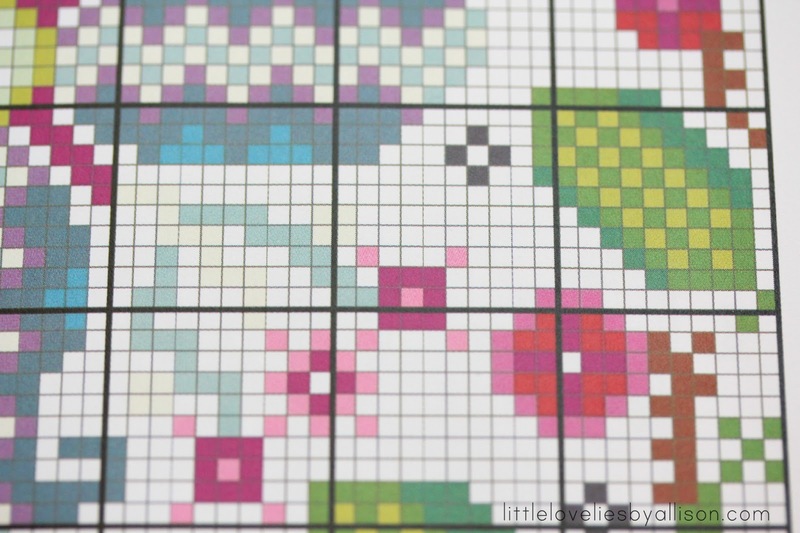 A lot of other cross stitch patterns have symbols in the pattern so you can tell not only from color, but also from the symbol which thread you should be using. 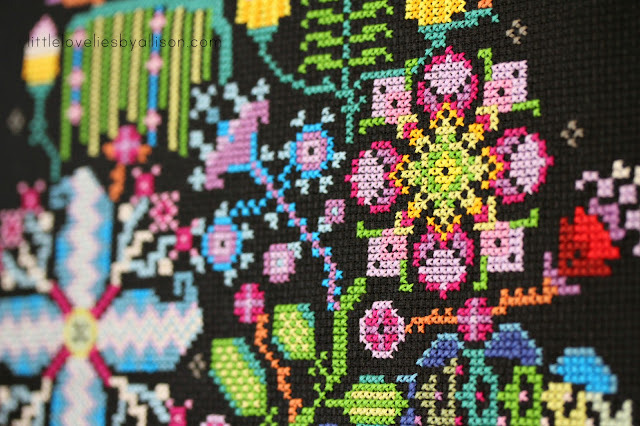 For patterns with only 3 or 4 colors this is not a big deal, but for patterns like this one with over 20 colors, it matters. There were like 6 or 7 shades of pink and red and purple in this pattern, sometimes right next to each other and it would have been helpful to have those symbols to tell me which color to use. 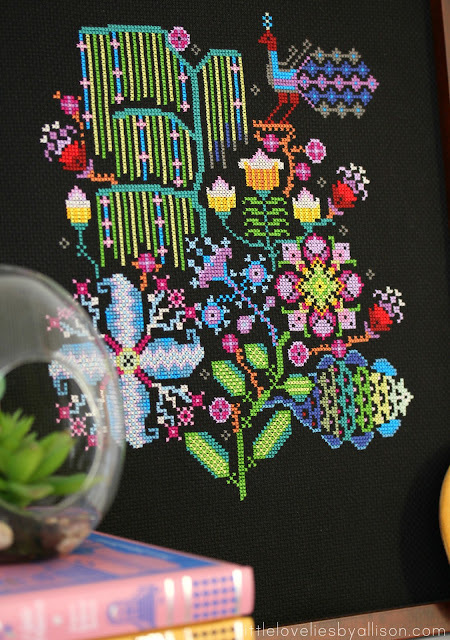 I had to decipher which pink thread was supposed to be which shade of pink in the pattern and it took a lot of analyzing the pattern and the pictures in the book to figure it out. Once I got the color situation worked out, it was enjoyable and challenging. I probably put over 40 hours of work into this and the feeling of accomplishment after finishing something so big is pretty awesome. So, despite the challenge and my problems with the pattern, would I recommend this book to others? Yes. It's just that beautiful. Just be ready to do a little leg work deciding what colors go where if you're going to work on this particular piece. No but seriously. Pick a project that challenges you. Do something hard. Then finish it and feel awesome. oh that is just beautiful! no wonder you are happy with it! good luck with the half marathon, i ran my first last October and got a team of us together for it raising funds to build a new home for orphans with special needs I fell in love with on a trip to the Ukraine last Feb! It was such a great experience! It turned out really beautiful! So colorful and fun. :) Good luck on your race this weekend. 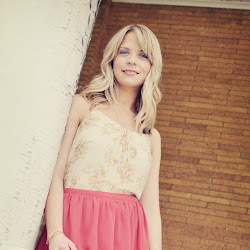 Stunning, Allison! This is seriously incredible. You're a rock star. People act like crochet is tedious and nit-picky-ish, but compared to this, it's a big bowl of ice cream. So much detail and it must take so much attention. Amazing. Good luck on your half marathon! This is lovely. I think you did a fabulous job. 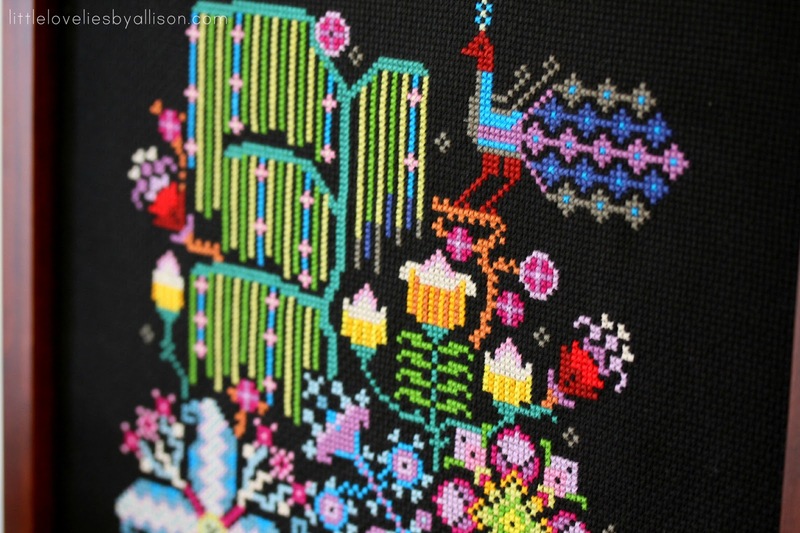 I totally agree with the symbols in the pattern. I am doing a count cross stitch now that is 14 count/ 11'X14"/all threads are in many shades of grays, white, browns. Without the symbols it would be impossible.